� Ideal for meeting rooms, boardrooms and executive offices. � Durable porcelain surface that will not ghost, stain, scratch or dent. � 25 year surface warranty under normal use. � Pass-through mounting hardware makes it simple to hang board. 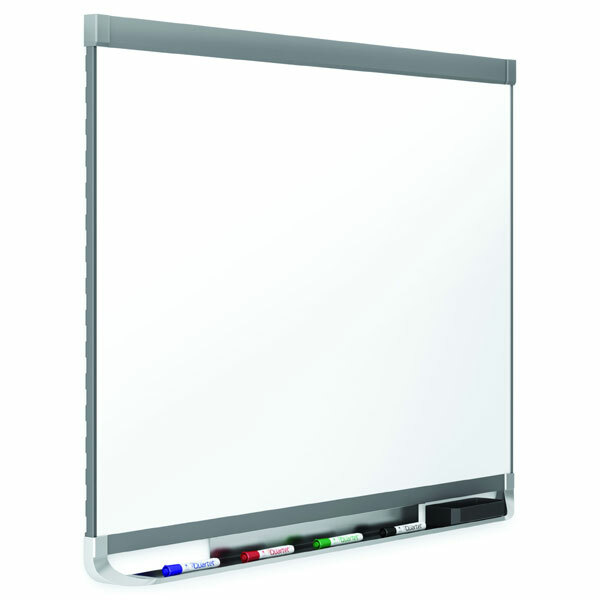 � Magnetic feature allows whiteboard to double as a bulletin board. � Full length integrated pen tray offers convenient storage space. 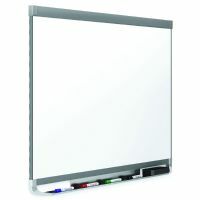 � Includes 4 pack of Quartet dry erase markers.